Happy Thursday MCT friends! Today we using the Game Night Stamp Set for the MCT Favorite stamp of the month. I absolutely love this set because it does not have to be used for game related projects. 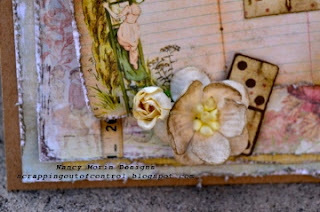 As you can see below, I created this vintage style card using the set..I just love how it turned out!! Did you see my little dominos?? I adhered them to a thick piece chipboard to give them some dimention. Considering I have not crafted in over two weeks. I think I did ok.. Here is a closer look at my card. This stamp set will be on sale for the month of March at MCT!! Whoo Hoo!! Go and get your set today. And don't forget about Miss Emma's link up party on her blog!! Thanks for stopping by! Big Crafty Hugs to you all!!! 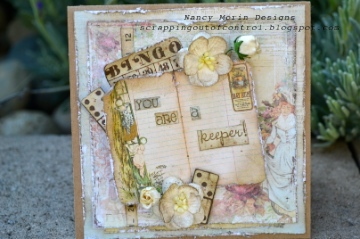 I love your card to pieces it has my favorite look of vintage...sweet/cozy vintage...lucky person who gets this.....they will be receiving a keepsake to be treasured. I love your music. Gorgeous! Your vintage style gave this set a whole different feel! 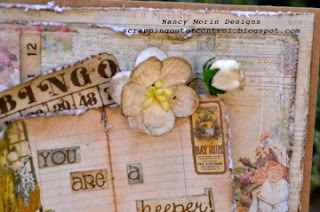 Beautiful job on your card...it could be a scrapbook page! Love the vintage feel. Wow...what a fabulous looking card. i adore it! And the sentiment is mine exactly, this card is a keeper. An inspiration to try to attain to. Thanks for sharing. Nancy this is beyond BEAUTIFUL! I just LOVE the vintage look! You do it so PERFECTLY! Great job again!